You’ll probably want to see some underwater wildlife during your Caribbean vacation! Dive beneath the waves to see stunning coral reefs teeming with fish, or head to Stingray City to swim with the rays. Another popular activity is visiting the Grand Cayman Sea Turtle Farm. 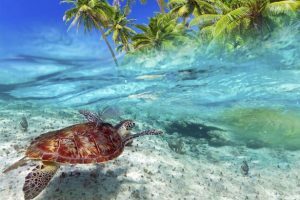 This conservation facility will teach the entire family everything you need to know about our beloved turtles, and you can even swim with them! Discover even more things to see and do on the island when you access our complimentary Vacation Guide. The Cayman Turtle Centre: Island Wildlife Encounter is dedicated to conserving our turtles and educating its visitors. More than 200,000 visitors come to the Grand Cayman Sea Turtle Farm each year! There are about 7,000 turtles at the center, and they have released more than 31,000 back into the ocean. They want to replenish the turtle population while continuing to learn about the species and educate the public. Plus, this turtle farm has attractions that are fun for the whole family! The Turtle Centre Exploration Tour is US$18 for adults and US$9 for children. You’ll get to see where the turtles are bred, meet the 9-foot crocodile named Smiley, wade in the water with the turtles, visit the education center, and more! It’s an excellent way to get a taste of what the Cayman Turtle Centre offers if you are short on time. If you’re looking to explore the entire park, the Turtle Adventure Tour is for you. At a cost of US$45 for adults and US$25 for children, you have access to everything the Turtle Centre Exploration Tour offers, plus much more! This tour immerses you in the beautiful nature of our island while keeping the entire family entertained. Swim with the turtles in the Turtle Lagoon, watch sharks swim by in their tanks, see an array of Caribbean birds, and more. Embark on the Blue Hole Nature Trail to see our national flower, stunning greenery, and butterflies gliding through the air. Then, make your way to the water park to cool down in the Cayman sun. The kids will love the Turtle Twister Waterslide at Breaker’s Lagoon; it’s the only waterslide on Grand Cayman with two loops! See the Grand Cayman Sea Turtle Farm and so much more during your island getaway! Take your vacation to the next level when you stay at The Residences Seven Mile Beach in Grand Cayman. Situated right on the white sands of Seven Mile Beach, our guests have access to the unmatched amenities and services of The Ritz-Carlton Grand Cayman and more. Enjoy a private bellman, concierge, and more. 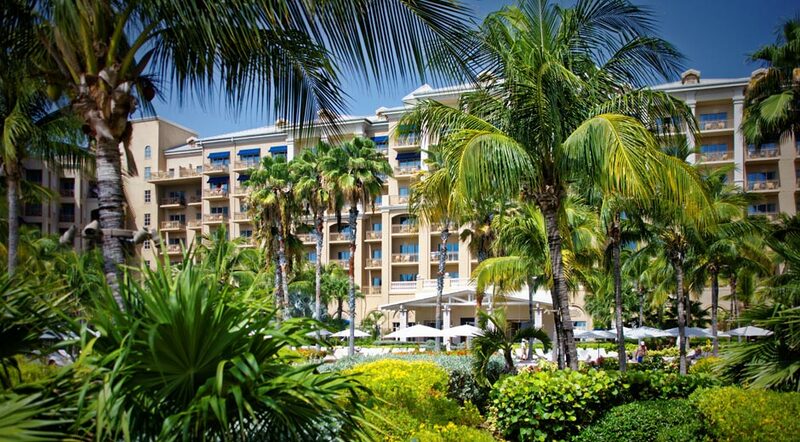 Browse our Residences to start planning your stay. We look forward to hosting you! This Is Why You Need to Go on the Nautilus Submarine Grand Cayman — Where Is the Best Grand Cayman Shopping?